A Tribune analysis of violent-incident data in state prisons shows that far more violent incidents occur at facilities with large populations of mentally ill inmates. AMARILLO — The most violent prisons in the Texas state system share a common factor: They house a high proportion of mentally ill inmates. The Texas Tribune analyzed violent-incident data from 99 state prisons from 2006 to 2012, and found far more incident reports at facilities housing high numbers of mentally ill, violent offenders than at other prisons. It is not surprising that prisons with a greater proportion of mentally ill inmates would have more violence than others, said Michele Deitch, a prison conditions expert at the University of Texas at Austin’s Lyndon B. Johnson School of Public Affairs. But the volume of violent incident reports raises questions about the staff’s ability to manage inmates and keep prisoners and officers safe. “You can’t ignore those numbers,” Deitch said. Among the five units with the highest number of reports are the state’s three psychiatric facilities. In addition, the William P. Clements Unit, which is not a psychiatric facility, but houses 1,800 mentally ill inmates among a population of 3,500, is in that group, according to Texas Department of Criminal Justice data. Criminal justice reform advocates say the numbers show that the state’s approach to incarcerating the mentally ill is not working. But criminal justice department officials say the numbers do not tell the whole story. They say state facilities are safe, and programs aimed at helping mentally ill inmates are working. “I think we do a very good job taking care of what we do here,” said Barry Martin, the senior warden at Clements. From 2006 to 2012, Clements inmates and officers were involved in about 6,600 violent incidents — those in which an assault was alleged, force was used, a weapon was involved or a disturbance was reported — outpacing all other prisons. On average, there were more than 25 reports for every 100 prisoners each year. In those years, there were 77 allegations of sexual assaults at Clements and 264 incidents in which inmates lobbed bodily fluids. According to the reports, officers used chemical agents to subdue inmates more than 1,500 times, and offenders were found with weapons on 411 occasions. Deitch called the numbers “overwhelming.” But Clements is not the most violent per capita. Reports of violent incidents are more prevalent at smaller institutions that house only psychiatric patients. At the John Montford Psychiatric Unit in Lubbock, the average of violent incident reports was 43 per 100 inmates from 2006 to 2012. The Beauford H. Jester IV Unit near Richmond, which houses some of the most violent mentally ill inmates in the system, had 41 incident reports per 100 inmates during that time. The average for the 99 Texas prisons analyzed by the Tribune was less than 8 per 100. At Clements, officers were involved in a “major use of force” — reported whenever officers force inmates to do something against their will — more than 3,400 times during the six-year period. The Montford Unit, with a population less than one-third that of Clements, had more than 1,500 reports of major use of force during the same period. Officers at Jester, with about 500 inmates, reported major use of force 900 times. Deitch and other proponents of prison reform said the rate of violence, particularly at facilities with mentally ill inmates, shows a need to reduce the prison population and improve staff training to cope with prisoners with psychiatric needs. “Something is happening that’s causing inmates to act out in quite serious and dangerous ways, and staff do not have that situation under control,” she said. 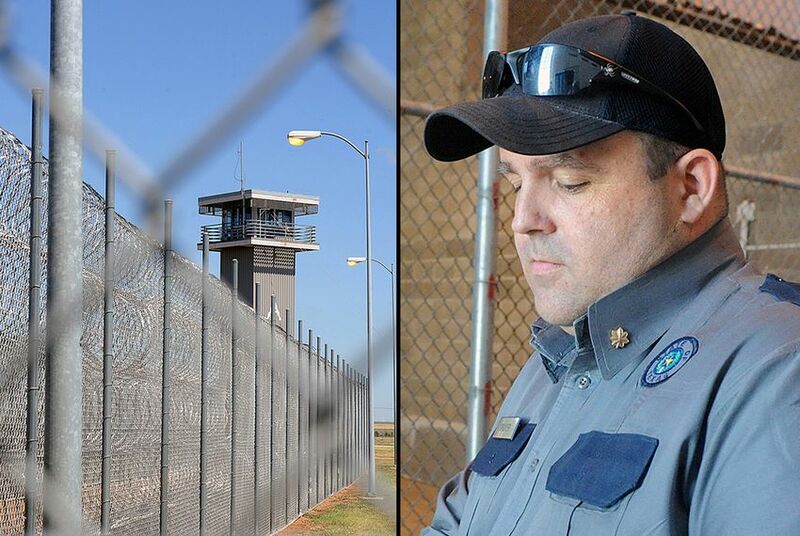 Scott Medlock, director of the prisoners’ rights program at the Texas Civil Rights Project, said state officials should consider structural changes, including spreading mentally ill inmates among many units instead of concentrating them at a few. “Those people are entitled to accommodations that will help integrate them into the prison system and keep them safe,” he said. But leaders at Clements and department administrators say the statistics do not reflect the hundreds of times when officers have prevented violence. And they do not show the success of intensive programs that help mentally ill offenders. Martin, the warden at Clements, said that the unit houses not only mentally ill inmates but has a wing dedicated to G-5 offenders, those who are considered the most dangerous. The prison has 448 cells for solitary confinement; last week, 435 of them were occupied. Clements officers are given two and a half weeks of training in dealing with mentally ill inmates, and Martin said he planned to add more. At Clements, health care providers from Texas Tech University Health Sciences Center run the Program for Aggressive Mentally Ill Offenders. Inmates can participate voluntarily in the cognitive behavioral therapy program, and 175 are enrolled. Those who complete the program by taking medication, attending therapy sessions and modifying their behavior receive a certificate that prison and parole officials consider when making decisions about housing conditions and potential release dates. “It makes life easier for them and for us,” Martin said. The prison also has an involuntary program for about 200 chronically mentally ill inmates, which puts them in daily contact with mental health care providers. Marion Williams, the medical director at Clements, said she felt safer treating patients inside the prison than outside. Keeping a large population of mentally ill inmates in one facility, she said, allowed for continuity of care. As inmates shouted and banged on the steel doors in a solitary confinement wing at Clements, Maj. Michael Gruver, who oversees the isolation wing, said dealing with large numbers of inmates with mental health problems was difficult at times. Dan Hill contributed data analysis to this report.